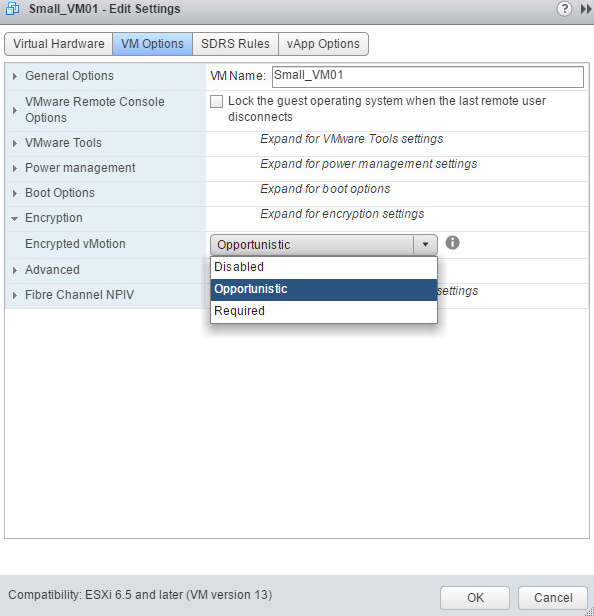 Opportunistic – use encrypted vMotion if source and destination hosts support it. Required -Allow only encrypted vMotion. The key and the Nonce are packaged into a vMotion Migration Specification is created for the vMotion. This spec is sent to both systems in a the cluster. 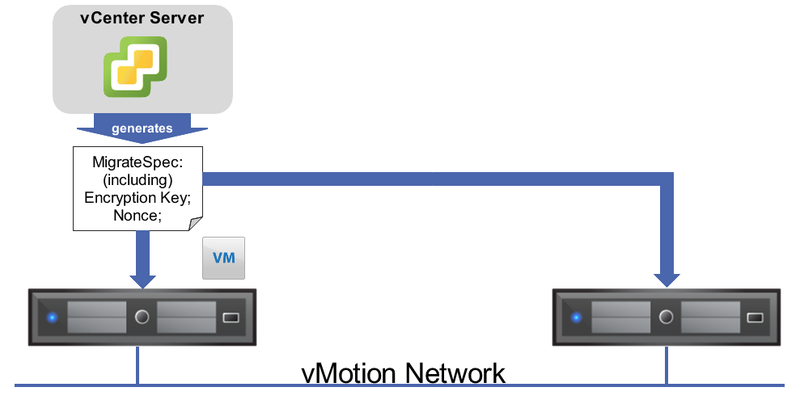 The vMotion traffic begins with every packet being encrypted on Host A and the counter incrementing. Next new security functionality in vSphere 6.5 – encryption is implemented via Storage Policies. 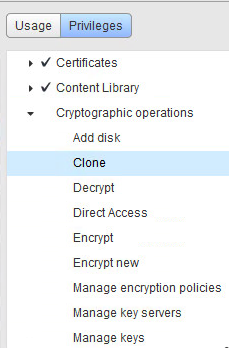 If You add to the vm an encryption storage policy it will encrypt the disk. No modification within the Guest. 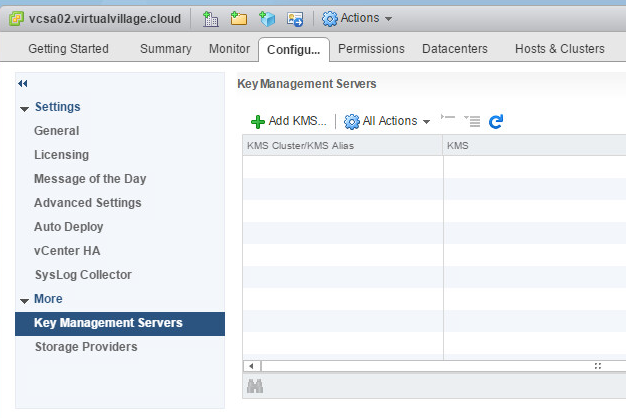 vCenter gets a key from the KMIP server. That key is used to encrypt the VM files and the VM Disks. 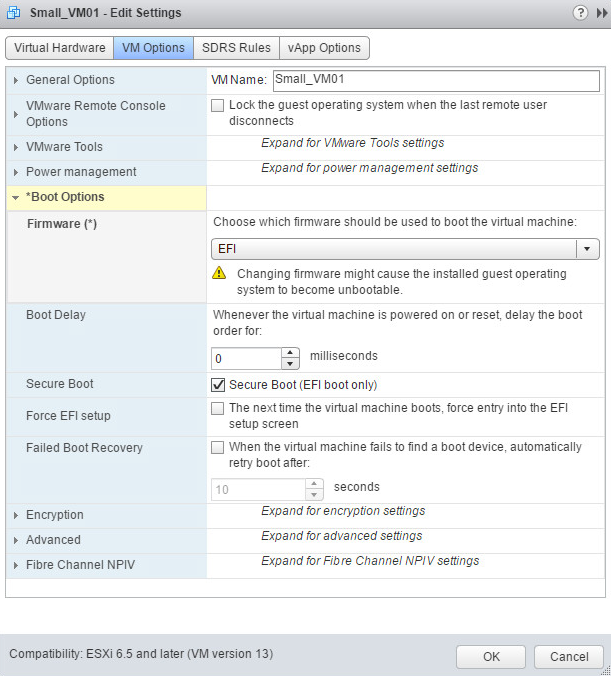 VC loads the key into the ESXi hosts. All hosts that don’t have the key will get the key to support DRS/HA. 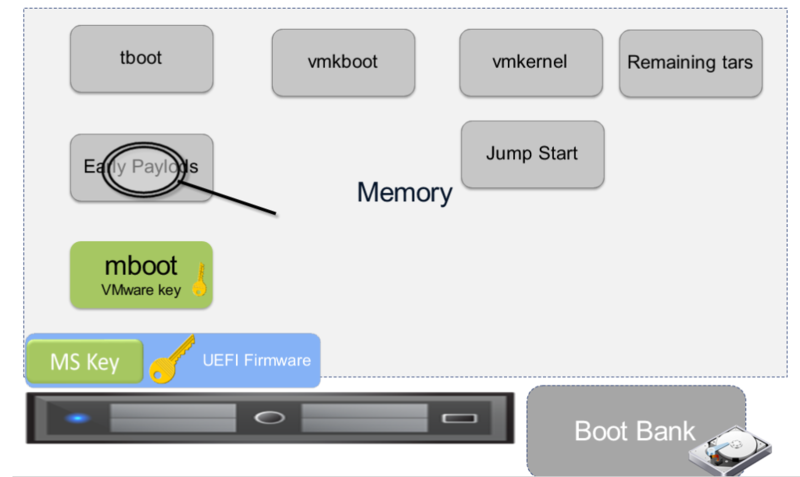 Once the key is loaded into the KeyCache on the ESXi host, encryption and decryption of the disk will happen at the IO Filter (introduced in 6.0 U1) level. But let’s ask who can manage vm encryption ? 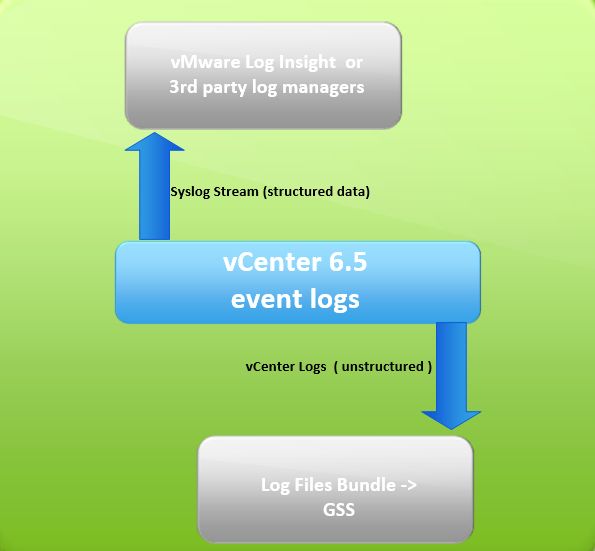 vSphere 6.5 introduces audit logging, before vSphere 6.5 logs were more focused on finding root causes of a problem – not releate deep to IT operations or security use cases. For example, if a virtual machine was reconfigured from one storage adapter to another in logs we would find only “Virtual Machine <name> reconfigured”. 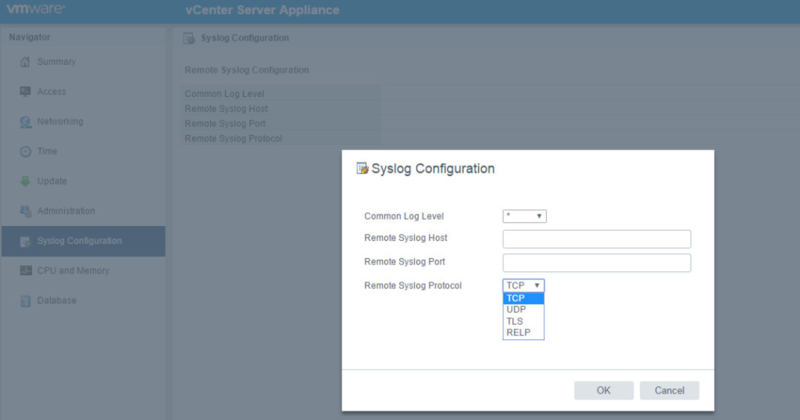 But now logs which are coming from vCenter via Syslog will contain data from vCenter Events. These logs will clearly show “Before” and “After” setting changes. This enhances the ability of IT and Security administrators to troubleshoot issues by providing information what was exactly changed in the vSphere environment.